VALKENSWAARD (Netherlands) 18 March 2018 – The 2018 MXGP of Europe at the famous Eurocircuit in Valkenswaard has finished in epic fashion. 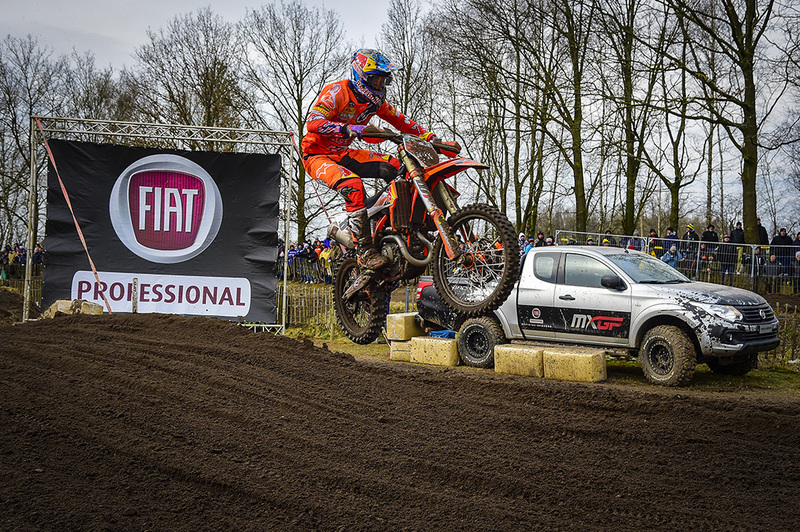 The dark Dutch sand was as unforgiving as it was testing for the top MXGP and MX2 riders in the world. While the conditions were vastly different from the season opener in Patagonia Argentina the result was much the same with Red Bull KTM Factory Racing’s Jeffrey Herlingsand Pauls Jonass taking the overall wins and maintaining their Red Plates. Race 2 started just as did race one with a FOX Holeshot from Jonass just ahead of Prado and a Husqvarna. However this time the Husqvarna in 3rd belonged to the STC Racing Husqvarna rider Henri Jacobi. Jacobi ran in third for 8 laps before crashing and then pulling of the track. The third round of the 2018 FIM Motocross World Championship will take place in Red Sand, Spain on 24thand 25th March for the MXGP of Comunitat Valenciana.